A beautiful image of Australian bush. This is Cooloola National park and is accessible from the Coloured Sands just north of Noosa Queensland. The gumtree trunk and Grass Tree, make this image so typically Australian. 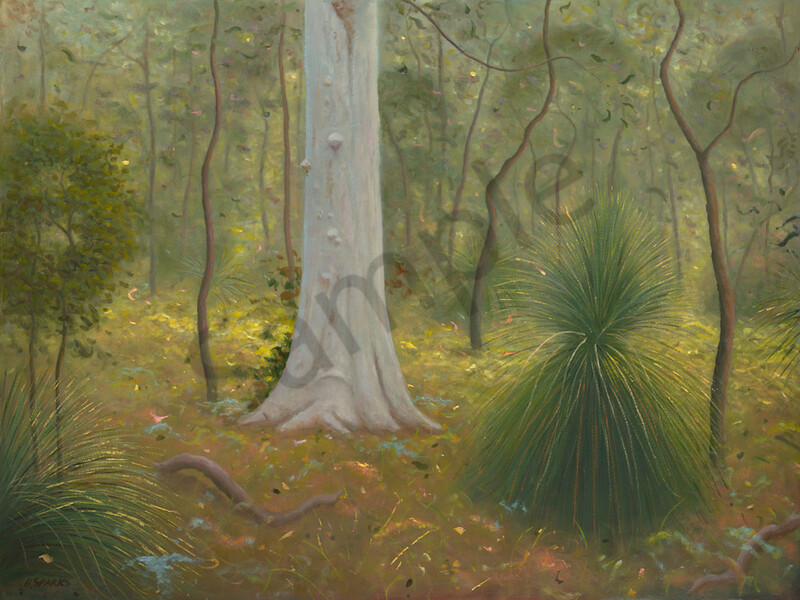 Looking at this painting you can almost feel you are there listening to the tree branches moving in the wind.